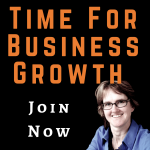 Amanda Holges gives you a simple way to Business Planning. No 10-page essays – just a concise plan of where you are heading, and what you want to achieve. Does the thought of spending hours or days analysing your business just send you cold, and who knows what could happen in the next 5, 10, 15 years right?!!! You’re not sure what next month will look like. Something easy but practical – perhaps visual – may be the tool you need to keep your focus on taking the right next steps for your business. Find out more about how to create a Business Plan with more focus in less time.